The racist tweet about former Obama adviser Valerie Jarrett may have cost Roseanne Barr, the lead actress of “Roseanne,” her show, but it's unclear whether her support from President Donald Trump will waiver. The White House isn't providing a reaction to the cancellation of "Roseanne" on ABC, with press secretary Sarah Sanders telling reporters during an Air Force One gaggle that the president has been "extremely focused" on the upcoming summit with North Korea and other matters. "As you know the president has been extremely focused … things going on with the upcoming summit, the president is focused on North Korea, he’s focused on trade deals, he’s focused on rebuilding our military our economy, that’s what he’s focused on, and not other things," Sanders said. ABC television group and ABC News are both owned by Disney. Barr has previously voiced her support for President Trump and his policies, including illegal immigration, on her Twitter account. Barr recently shared how excited she was to get a phone call from the president congratulating the show’s successful return in March. "I've known him for many years and he's done a lot of nice things for me over the years, and so it was just a friendly conversation about working and television and ratings," the actress told Good Morning America anchor George Stephanopoulos over the phone on the morning show in March. The president also publicly made remarks about the show referring to the private call he had with Barr to a group of supporters in Ohio in March. 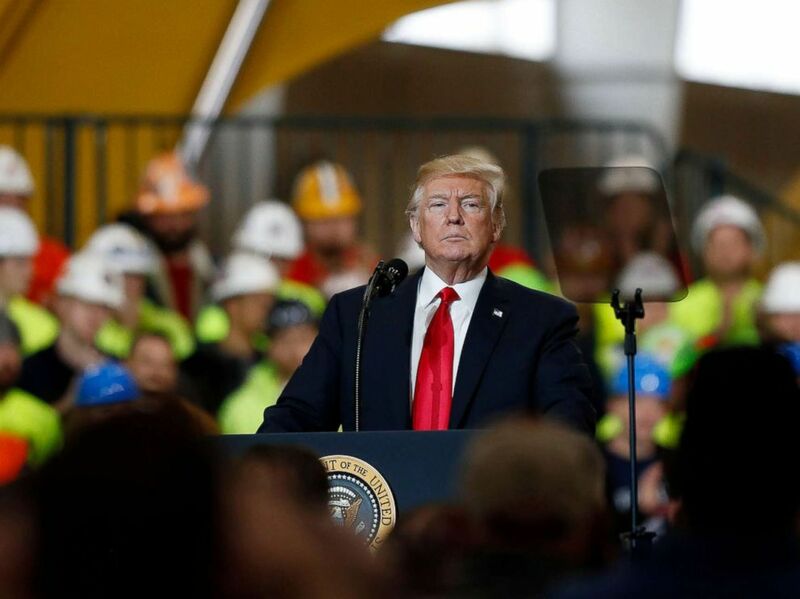 President Donald J. Trump speaks about his infrastructure plan during a visit to Local 18 Richfield Training Facility in Richfield, Ohio, March 29, 2018. The president also previously tweeted his support for the actress twice on his account—both before his presidency. And the admiration extended to some members of the Trump family. “Roseanne,” which first aired in 1988, revived after two decades in March this year with 18 million viewers on average.